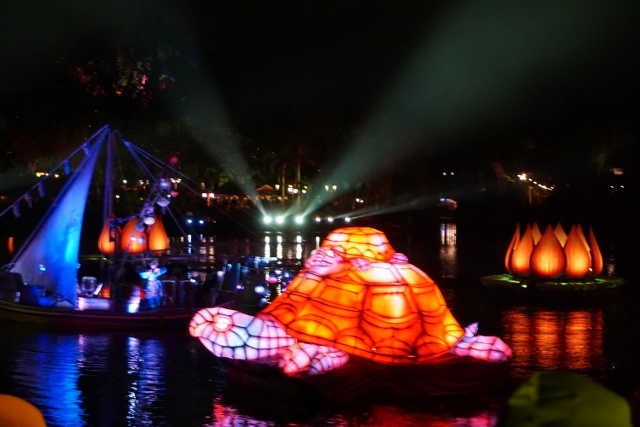 My travel report of WDW trip, Day 1. We enjoyed Character Dining and Attractions, but we still had time enough. 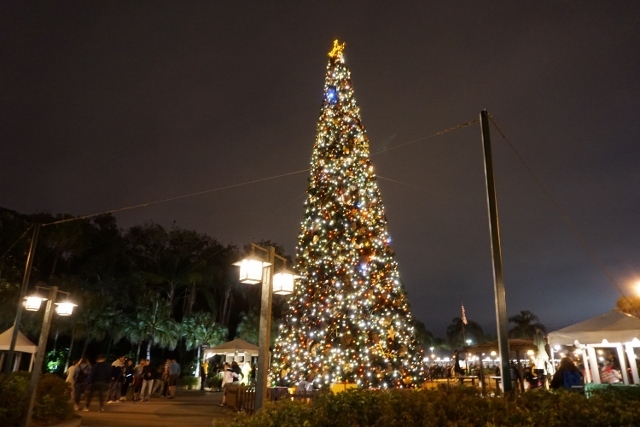 That's why we moved to Disney Springs. It was...awful:( As direct buses for Disney Springs would start from 4:00pm, we had to take the bus for Animal Kingdom Lodge first, then transfer to another bus. 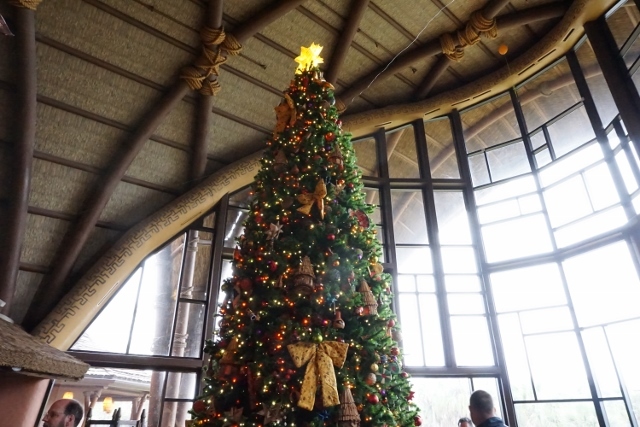 Finally we got Disney Springs at past 4:00pm... we visited the lobby of Animal Kingdom Lodge. I hope I can stay someday! 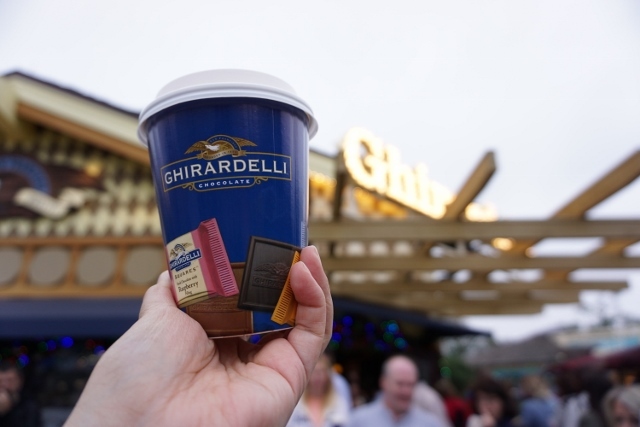 Our purpose of visit was Ghirardelli Chocolate. It is Chocolate shop from West Coast, and there is the café in Disney Springs. M-chan, my friend, bought many chocolates. Our original target was a big banana sprit, but we had hot chocolate instead due to cold weather. 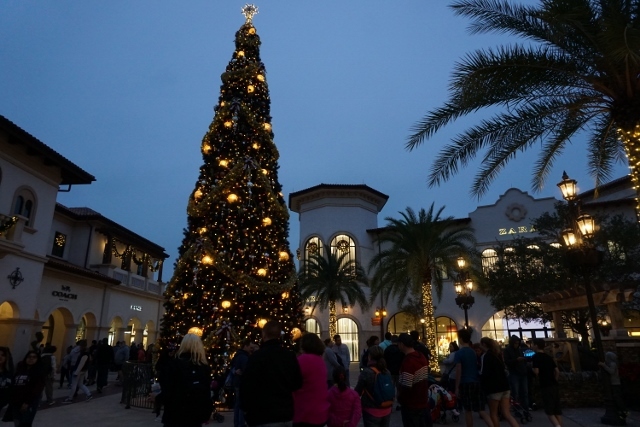 Other than Ghirardelli, there were many shops such as World of Disney, UNIQLO, Anthropologie, etc. However we couldn't have enough time to explore in our short term trip. 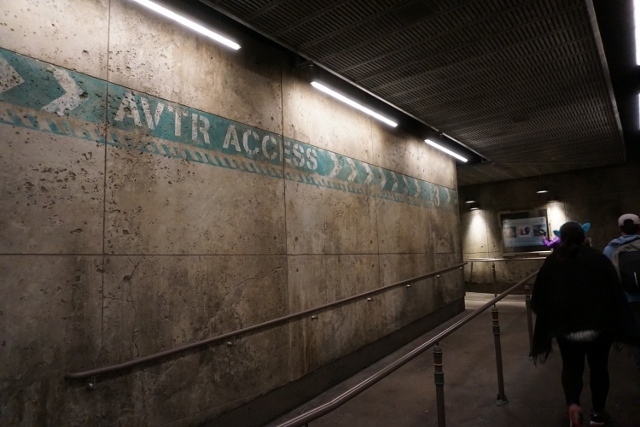 It was time to return Animal Kingdom park, but....no direct bus! OMG! There was no taxi stand, it was far from UBER pick up point. 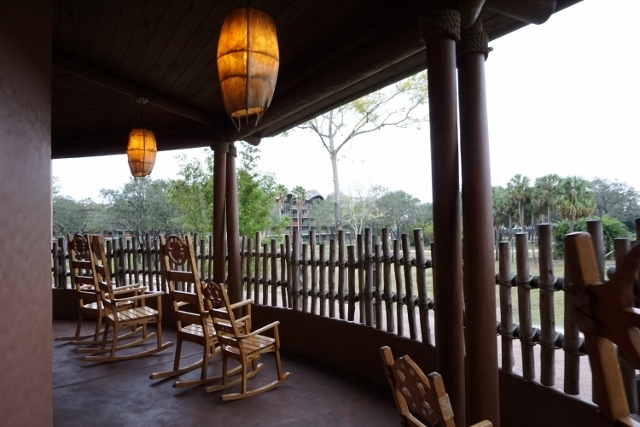 A cast member said the best way to there was to take bus to Animal Kingdom Lodge, then transfer. The same way we took when we came... 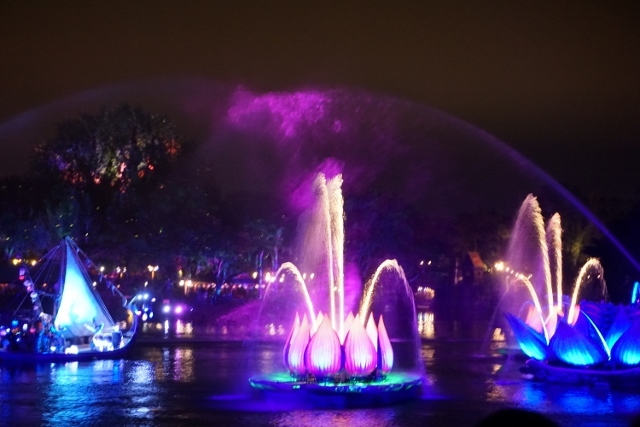 Finally we could get back the park just before Rivers of Light, the night time show. 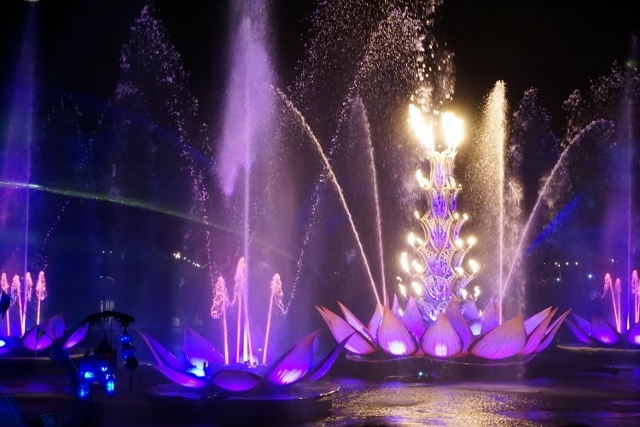 Audience seats of Rivers of Light is, as this photo, located on sloping surface. Guest could watch the show anywhere from seats. As we had Dining Package tickets, we could have good seats even though we arrived there just before the show. No fireworks during the show. I think it is because not to surprise animals. 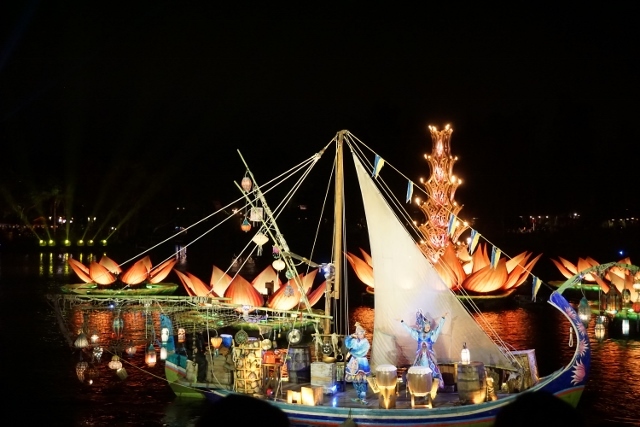 It was like a National Geographic channel with oriental music. Calm, beautiful, and good for the end of the day with animals. I don't think it is good for Disney Character lovers. We enjoyed the one at 7:15pm. 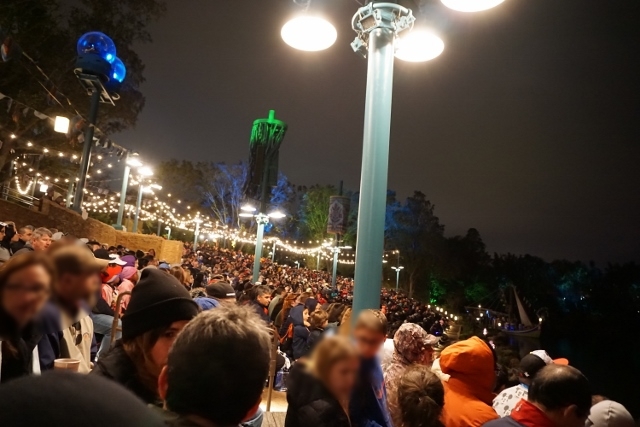 There also were 8:30pm and 9:45pm show on the day. 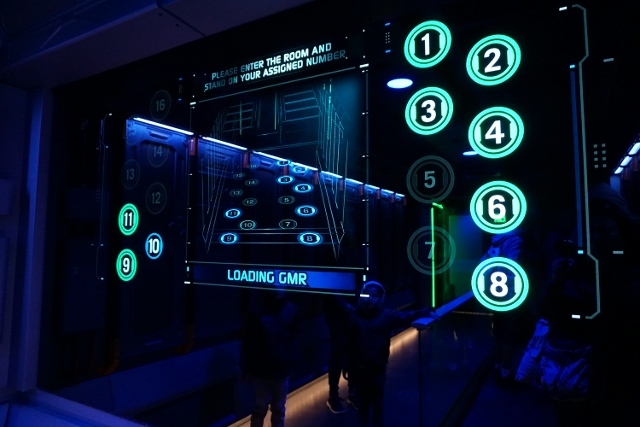 Our final activity was Avatar Flight of Passage. M-chan went back to hotel because she was very much tired and I tried it alone. 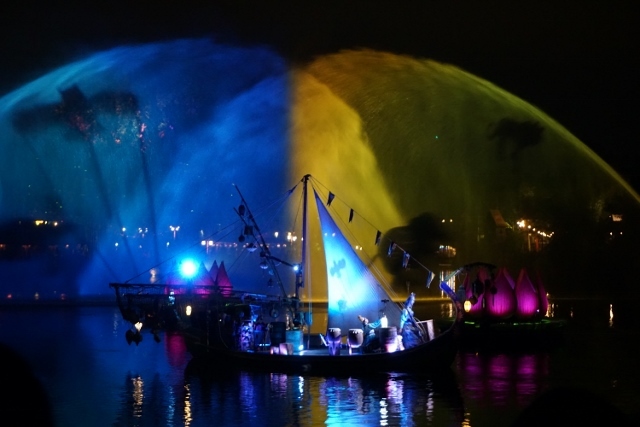 It is a common ride such as guests wear 3D glasses, but amazing attraction! I was scanned before the main show start to assign my Avatar. CG was also great. I understand why there was 240 min. wait at 9:00pm. 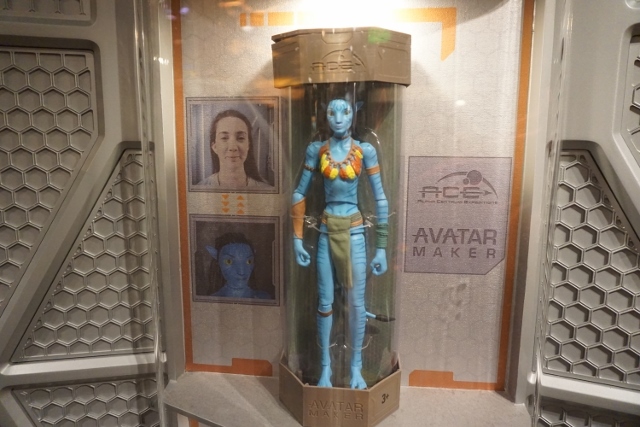 At the exit of this attraction, there was shop which created my own Avatar doll. I might want to buy it in this exciting situation.